At some point or other you’ve probably tried to play a video only to be told that the format wasn’t supported, or that the file not supported. In fact you may even have proceeded to download a codec or special media player so that you could open the video. While that is all well and good – what if you didn’t have to download codecs or players for every video that isn’t compatible? What if instead you could convert your videos to make sure they are compatible, and in the process optimize or compress them as well? In recent years it has become easier than ever to convert video formats due to the number of convenient and easy tools that are available. Some of these tools are software-based, while others are online platforms. Without a doubt Movavi Video Converter is one of the more comprehensive video converter software currently available. It supports a wide range of formats and can convert to and from most formats including DVD to MP4, WMV to MOV, AVI to MPEG, and so on. Not only that but the converter can convert audio and images as well between a variety of popular formats. If you want you can use Movavi Video Converter to cross-convert different types of media, and in doing so can create animated GIFs from video clips, extract audio tracks, or grab screenshots. It also has handy features so you can compress videos, resize their frame, and edit them in basic ways by enhancing, cropping, adding text elements, and more. Part of the reason Movavi Video Converter stands out is it has an extremely intuitive user experience, coupled with a clean and simple interface. It also includes hundreds of presets for various devices and platforms to make it easier to convert and optimize videos. In short it will make converting videos into the right format a piece of cake, and you will not need any experience to take advantage of its features. As far as free video converters go, HandBrake is one of the more powerful options available, and is immensely popular among mac OS users in particular – though it does support Windows and Linux as well. It can convert between a wide range of formats and as hundreds of presets to make it easier. The features in HandBrake will allow you to fully control all the parameters involved in video conversion. However it is not the most intuitive software to use, as its interface is strictly utilitarian and can take some getting used to for beginners. In short HandBrake is an excellent and functional video converter with lots of options, but can be daunting at first. 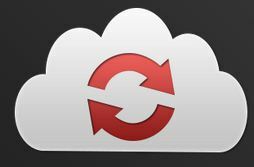 Of the online video converters that are available, CloudConvert is one of the more interesting options as it will let you convert to and from a very wide range of video (and audio) formats. It is able to cater to files that are up to 1GB in size, and you can add files directly from your cloud storage if you use Dropbox, Google Drive, or OneDrive. The options that are available in CloudConvert set it apart from most other online converters, and will let you adjust the quality, frame rate, and resolution of the videos. It will let you also trim the video and add subtitles to it if you want to. As far as limitations go, CloudConvert does restrict users to 25 ‘conversion minutes’ per day – which is measured based on the amount of time it takes to process the files. Once the video is converted you can either download it or add it directly to your cloud storage file manager. As a video converter software, Any Video Converter Free has a very impressive range of features that is coupled with a clean and modern interface. It supports most video formats, and has numerous presets that can make converting videos easier. The feature that stands out the most in Any Video Converter Free is its ability to save and convert online videos, including those from YouTube, Vimeo, Facebook, Metacafe, and other platforms. Additionally it also has a decent selection of editing tools to crop, trim, rotate, and even apply basic filters and effects. If there is one drawback to Any Video Converter Free it is that it doesn’t appear to allow videos to be converted in batches – which is surprising considering many other software-based converters do. If you want a simple and no-frills online video converter, Convert Files from Dan’s Tools is a good option. Unlike many other online video converters it won’t inundate you with ads, and instead has a clean and straightforward interface for you to add the video, select a format, choose the quality, and resize the video if you want to. Aside from those options you shouldn’t expect much more in terms of features from this converter however. Additionally the formats that it supports are limited to the more popular video formats currently in use and a few presets for popular devices. That being said it is an excellent converter that offers simple and straightforward video conversions. The one caveat is that it can take some time for the videos to be processed with this tool. The features in Freemake Video Converter are comparable to other video converter software, and will let you convert files from your computer as well as online videos. It supports most video formats, and has a wide array of presets for more popular devices and platforms as well. As with the other software in its class, you will be able to edit the videos that you convert using basic tools in Freemake Video Converter. In particular it can trim, crop and add subtitles. It should be noted that while Freemake is capable and its features are impressive, some will be locked out initially – and will only be unlocked after three days when you receive a free Web Pack. That includes its ability to convert online videos from YouTube and other platforms. The options listed above should provide you with more than enough ways to convert video formats. As you can see there are lots of powerful software-based converters with impressive features, as well as convenient online platforms that you can use. To choose between them you should first ask yourself what you’re looking for in a video converter. If all you want is to switch a few videos between different formats from time to time, then an online converter may be all that you need. However if you want a tool that you can use to consistently convert any and all video formats and compress, optimize, or prepare them in other ways – a software-based converter may be a better fit. All said and done you should try out the various options listed above and see what you think for yourself however. The user experience of each will vary somewhat, and so it is important that you’re comfortable using whichever option you choose.